All you amazing fundraisers out there may have noticed a change to your pages recently. Over here, we’re pretty darn excited about it. When you’re logged in and visit your own fundraising page, you’ll now see edit buttons throughout the page. Simply click and you’ll be on your way. You’ll also find an easier text editor option, easier video uploading, and even filters and stickers! 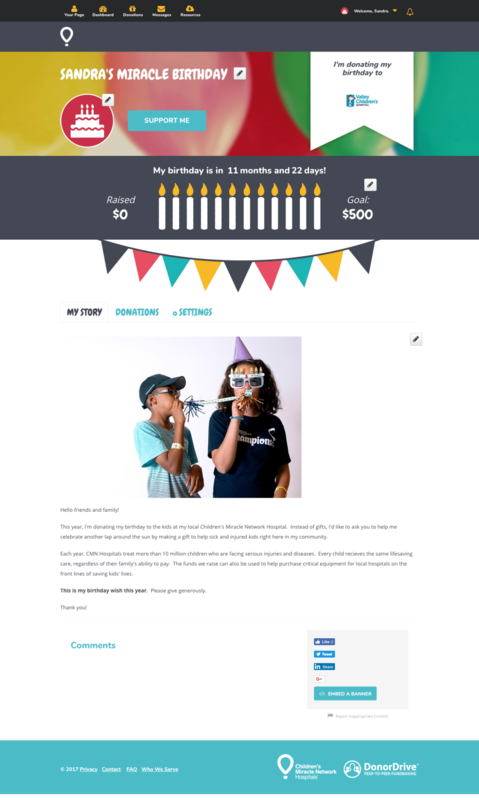 We know that when you update your fundraising page, you’ll raise more. Now it’s easier than ever! If you don’t have a page to check out these cool features yet, don’t worry. 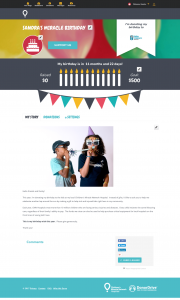 Head on over to MyMiracleBirthday.org and sign up to share your birthday for kids! Previous post: Subway® Store 3608 Does it Again! Next post: Nebraska Oma-hauls In Over $287,000 In Donations With Their “Tune In For Kids” Broadcast!